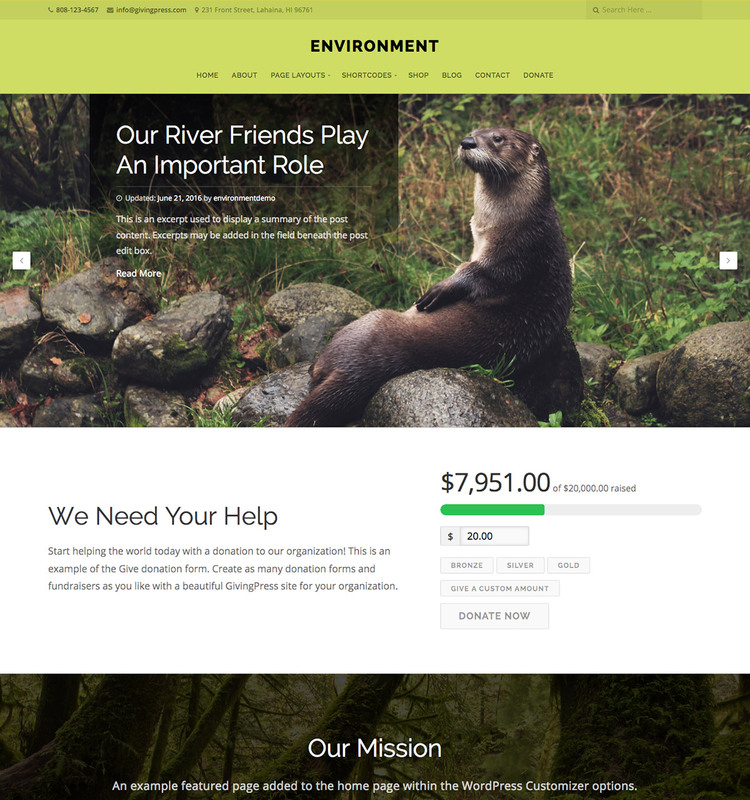 Spend less time building a website, and more time promoting your cause. 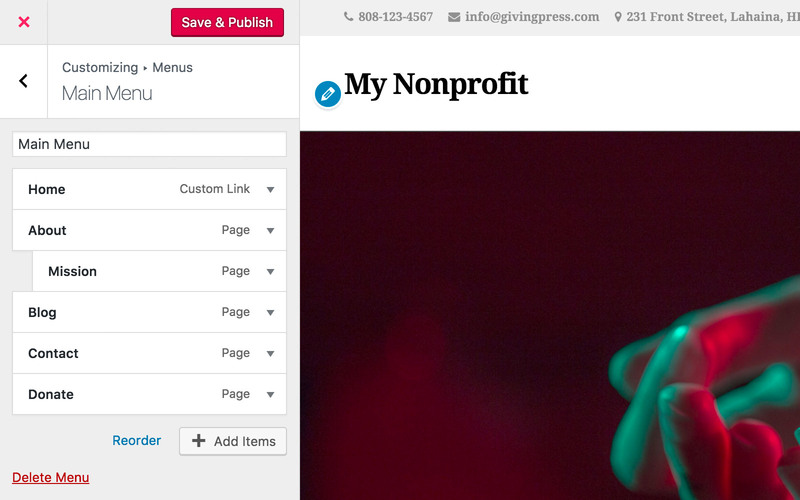 GivingPress makes it easy for anybody to manage a website for their cause. Your website will be delivered within moments of signing up! Let our team setup your inital website content, or simply enter the Site Builder and get started yourself! 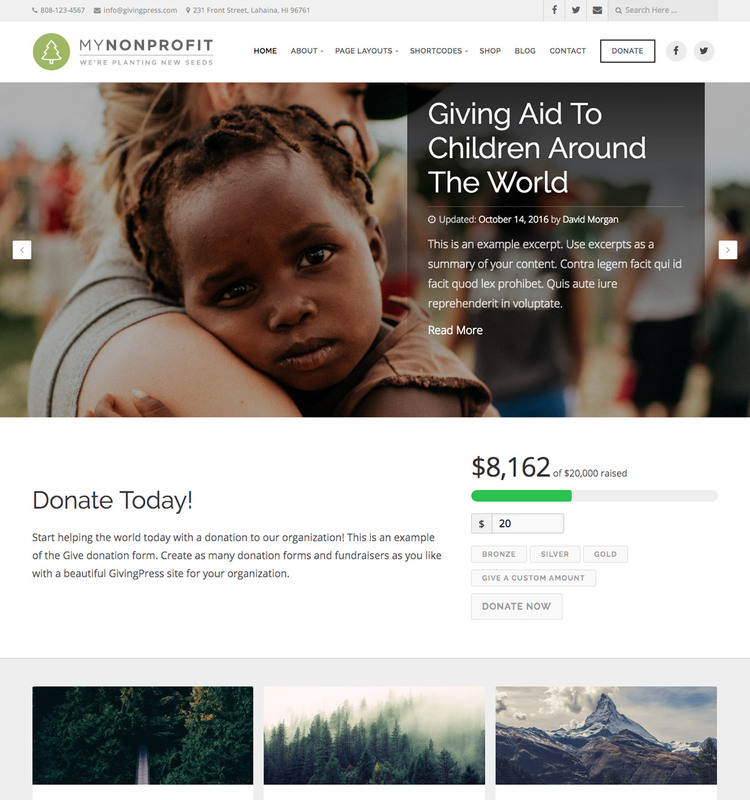 Easily manage content and customize the appearance of your nonprofit website. Upload a logo for your organization, and align the position in the site header. Easily format text, add images, video, audio, links, PDF's and much more with ease! Quickly change colors throughout the site in real-time to match your brand. Choose from thousands of available fonts and customize the colors and styles. 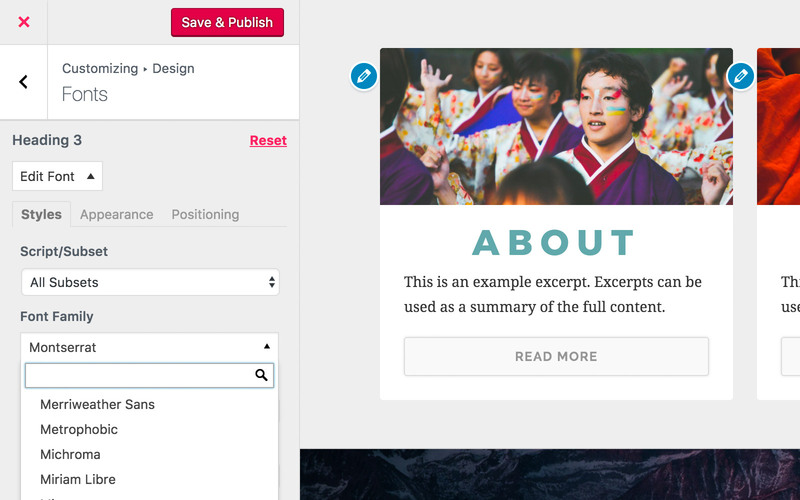 Add pages, posts, categories, custom links and more to your navigation menu. When the customization options aren't enough, add custom CSS styles to manually change the design. Will GivingPress Work For Me? 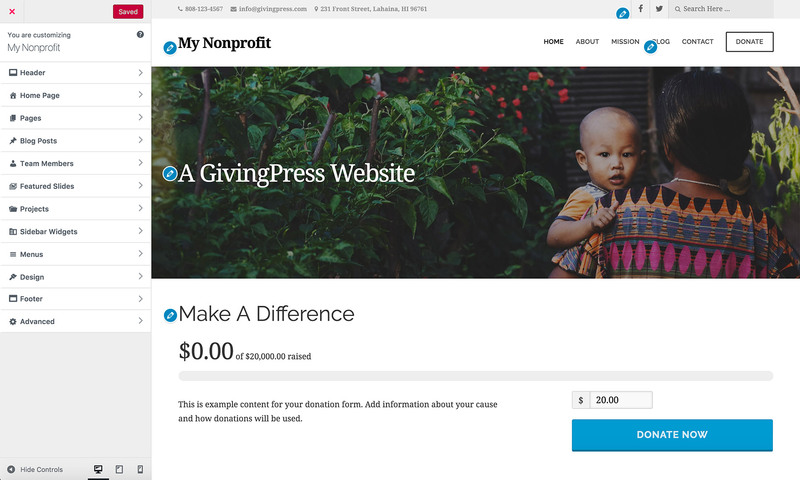 GivingPress was designed to work with any organization type. 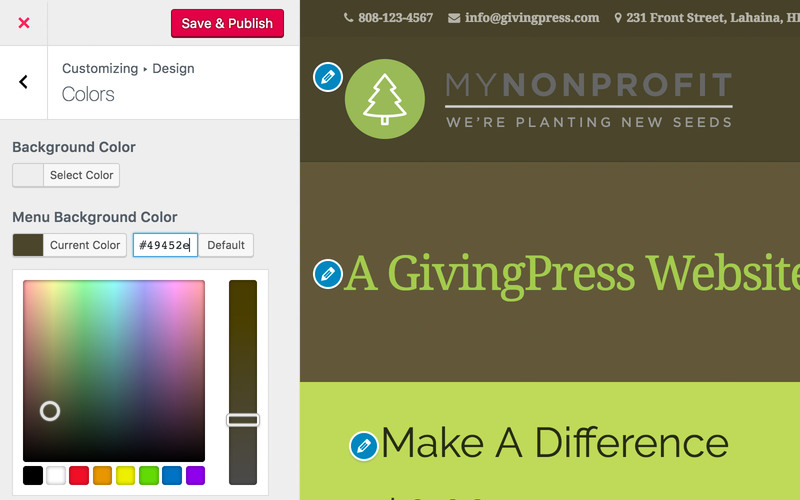 View examples of GivingPress designs for a variety of nonprofits. 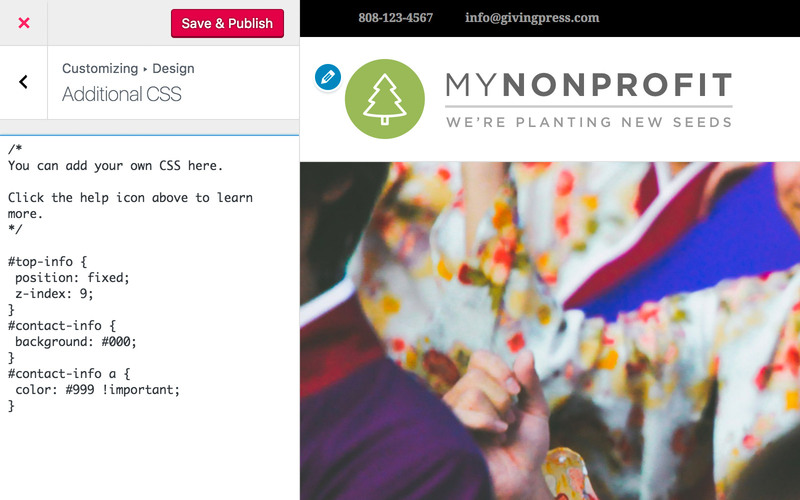 12 Reasons to consider GivingPress for your nonprofit website solution. 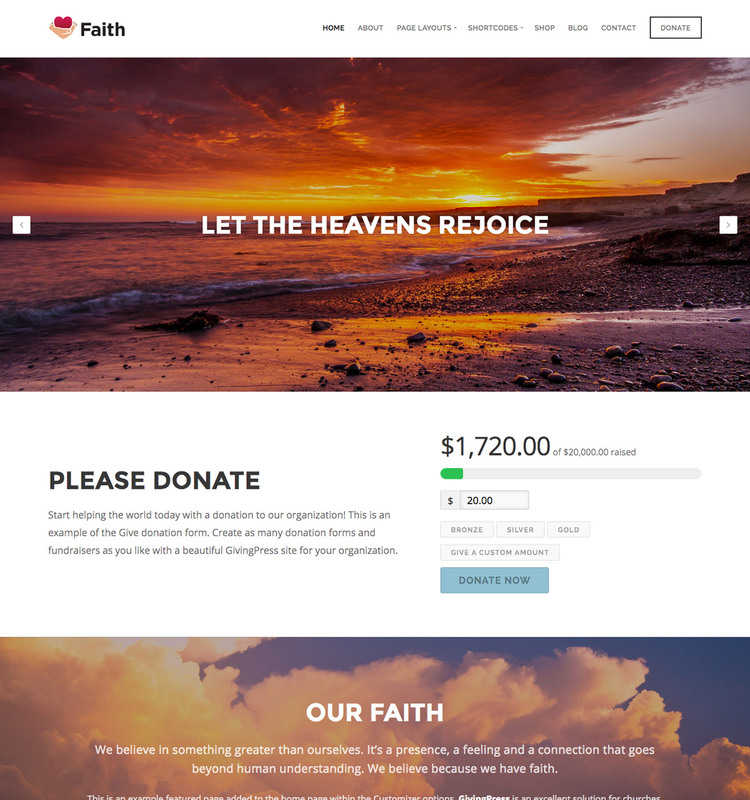 Create multiple donation forms and start accepting money immediately! It's as simple as setting goals and timelines for your donations! Your website will display beautifully across all media devices! 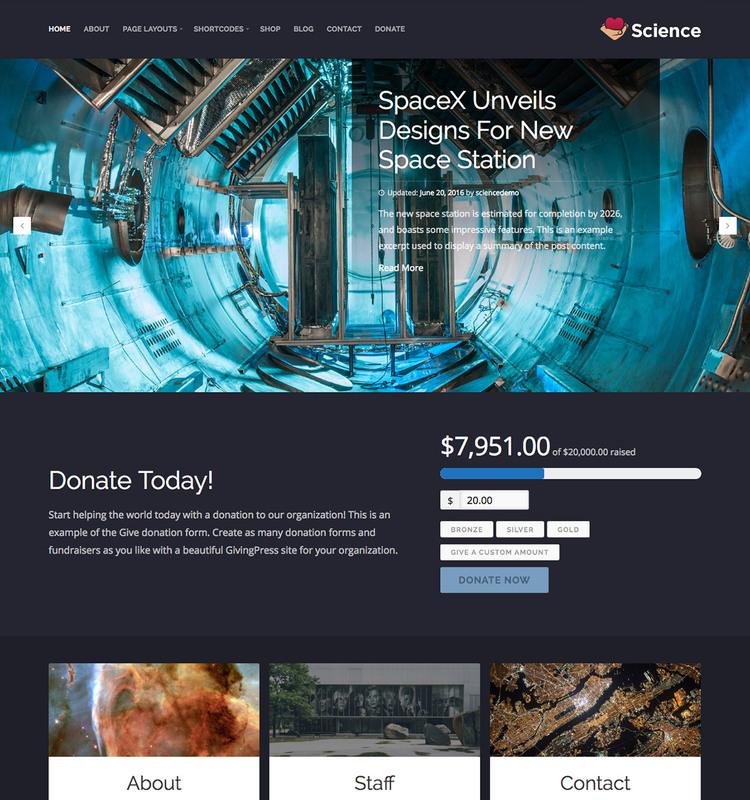 Donors will take you seriously with a modern and professional site! Easily change your logo, colors and layout with custom options! 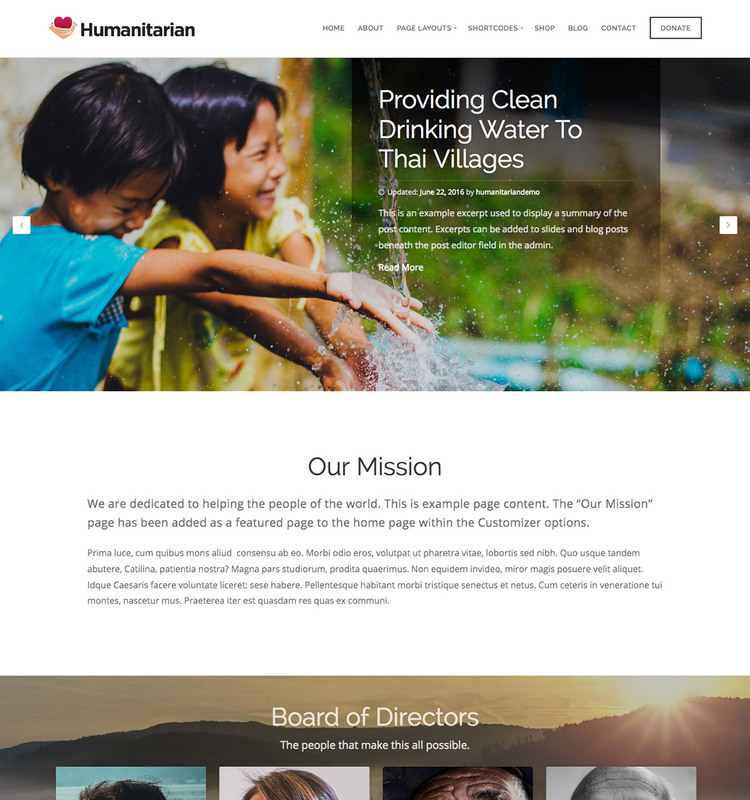 Display board of directors, staff and volunteer profiles on your site! Share your latest news via the blog and multiple social media options! Showcase your promotional videos within the slideshow or on any page! Daily backups and and up to 30 days of disaster recovery! Amazon Web Services cloud hosting with Route 53 global DNS! 24/7 Security and performance monitoring, and DDoS protection! Our experienced team is ready to help with the setup of your site! Take a look at our website packages, and choose the option that's best for your organization. Let us help move your pre-existing content from an old website to your shiny new GivingPress site, saving you valuable time. Stop fumbling through code, and let the professionals handle the design changes to your site. 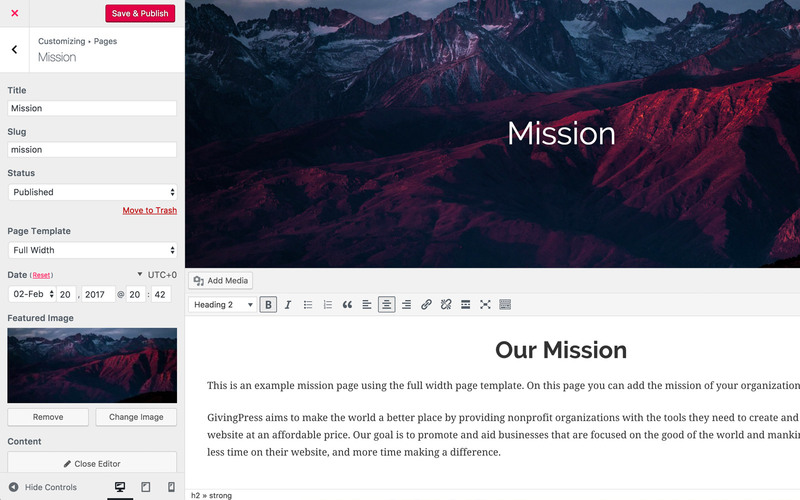 We'll change layouts, colors, fonts, images and more.